Cue up the Peter Piper jokes, 'cause here come my pickled peppers. Last year's crop of green peppers were eenie-beenie little things -- maybe golf ball size, if that. But this year? This year our peppers have been amazing. Big as a softball. See? We've had lots of them, and they're still going strong. Kahuna is a sucker for anything pickled. So pickled peppers it is. Here's a wonderful recipe I unearthed from the depths of my file drawers. It's from an ancient issue of Cooking Light, back when home-grown peppers were merely a twinkle in Kahuna's eye. In medium saucepan, heat water, vinegar, honey, peppercorns, and garlic until boiling. Add peppers and onions and return to a boil. Cover, reduce heat, and continue cooking for 20 minutes, or until peppers are very tender. (I cooked mine about 30 minutes.) Let cool, and pack into jars or plastic containers. Refrigerate. Serve with a slotted spoon. I've made several batches of this, and what we didn't eat, I popped into the freezer. 'Twill be a wonderful reminder of warmer days come February. So how about you? Any surprise successes in your garden this year? NOTE: I'm entering this recipe in the Grow Your Own food roundup, held this month at Girlichef's blog. 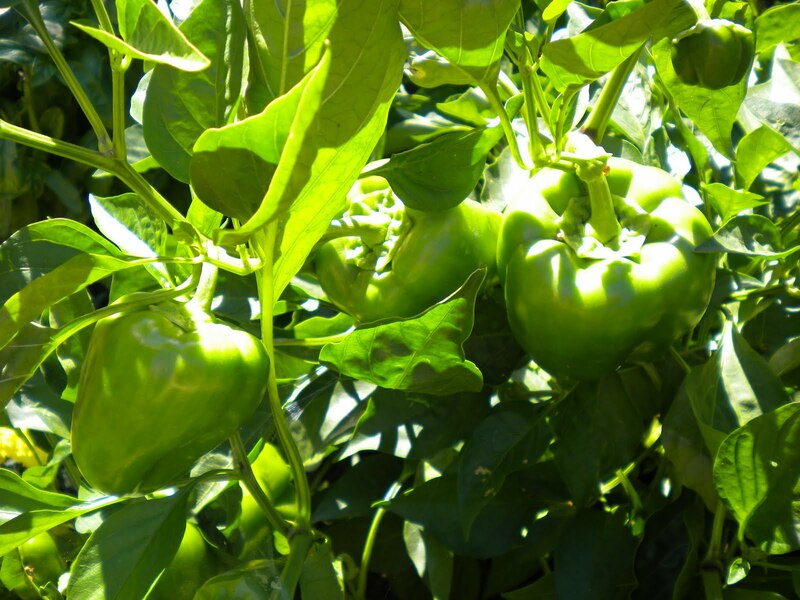 Your bell peppers are gorgeous! 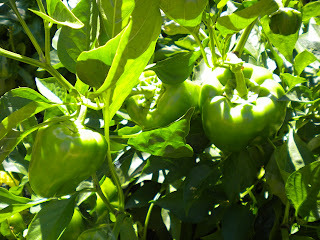 Now that it is a bit cooler I am hoping our will grow bigger, all summer they would get so big and then cook on the vine. My only surprises this year are the squash beetles. I have never had them or even seen them before and they destroyed my squash and my pumpkins. I think it is going to be the end of organic. It is war! Oh, I'm so sorry about your squash beetles, Farm Girl. I don't think I've ever seen them, either, and hope I don't. That's so disappointing, to have something like that spoil your crop. No garden for me - I dont' have a fence and have too many deer. 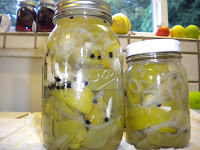 BUT, I do live within twenty minutes of the Farmer's Market and I've been canning up a storm. 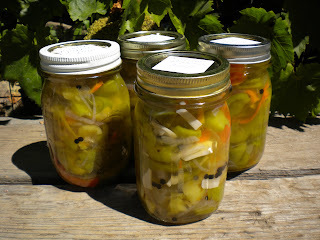 I made bread and butter pickles over the weekend and they are delicious. Hi! The best successes were not in my own garden, they were in my sister's and she's sharing the bounty. Lovely to meet you. It's always fun to meet a "new-to-me" blogger! I do have that damn rhyme stuck in my head now :P I love peppers and even more than THAT, I love them pickled! This recipe sounds great! Wow, do your peppers look amazing! Sounds like they make up for last year's crop. 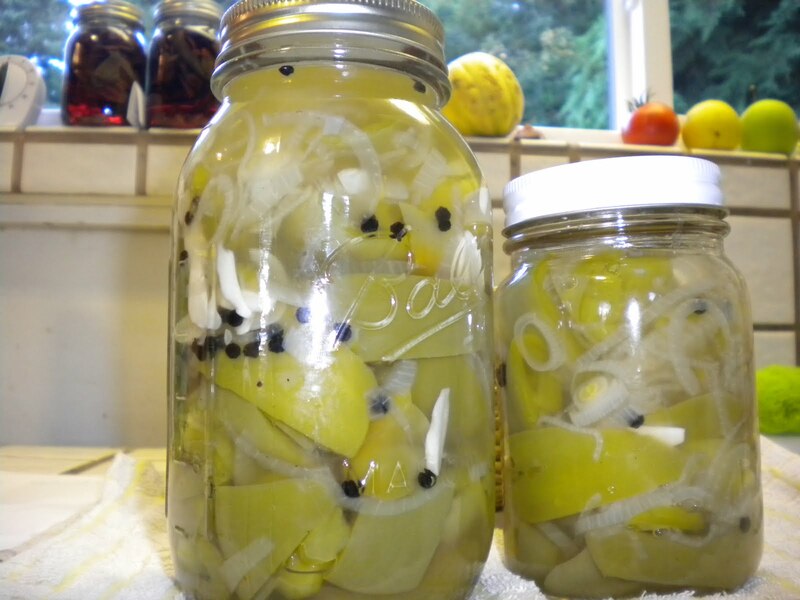 Pickling them is a great idea! I'm so glad your peppers did so well this year! We only planted tomatoes and basil this past spring and they did pretty good. I've given away many tomatoes to my daughters, but I also like to slowly roast them with some olive oil along with a head of garlic and freeze them. And, there's nothing like a fried green tomato. I've been so busy getting my children off to school, that shamefully,I have totally negelected the last of my garden bounty. Your peppers are great! Wish they were that size here this year. The recipe sounds really good, a must try! 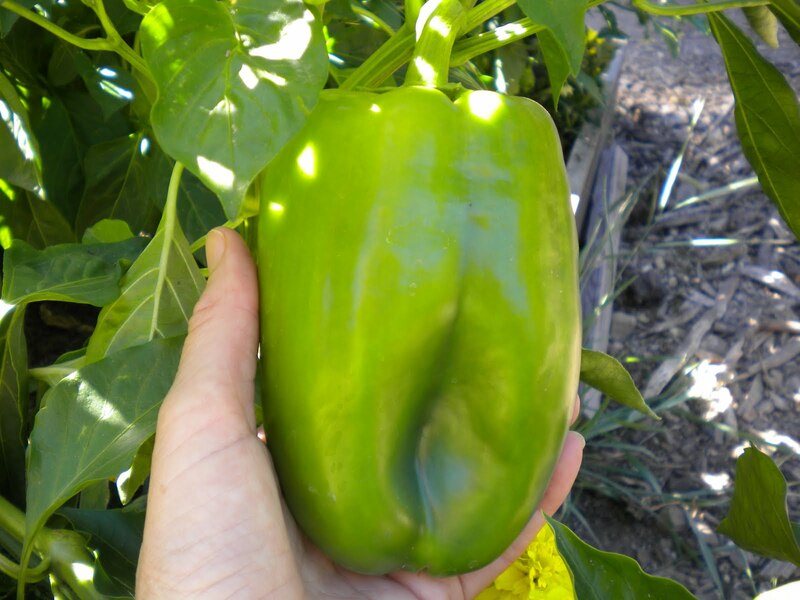 My garden peppers are smaller not big and beautiful like yours. Maybe it's not hot, hot summers. What a wonderful relish. I love my tomatoes but I have just about given up growing bell peppers.